N 8° 32' 36" and W -9° 28' 15"
Macenta in Macenta (Nzerekore Region) with it's 43,102 habitants is a town located in Guinea about 295 mi (or 475 km) east of Conakry, the country's capital town. Time in Macenta is now 11:29 PM (Monday). The local timezone is named Africa / Conakry with an UTC offset of zero hours. We know of 8 airports closer to Macenta. The closest airport in Guinea is Macenta Airport in a distance of 1 mi (or 1 km), South. Besides the airports, there are other travel options available (check left side). Since you are here already, you might want to pay a visit to some of the following locations: Voinjama, Gueckedou, Beyla, Kerouane and Kissidougou. To further explore this place, just scroll down and browse the available info. Let's start with some photos from the area. Macenta is a town in southeastern Guinea, founded by the Toma people. Population 88,376 (2008 est). Located at 8.55, -9.46667 (Lat. / Lng. ), about 1 miles away. 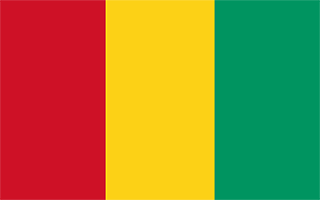 Macenta is a prefecture located in the Nzérékoré Region of Guinea. The capital is Macenta. The prefecture covers an area of 8,600 km. ² and has an estimated population of 296,000. Located at 8.54361, -9.47278 (Lat. / Lng. ), about 0 miles away. Macenta Airport is an airport serving Macenta in Guinea. Located at 8.533, -9.467 (Lat. / Lng. ), about 1 miles away. Balizia is a town and sub-prefecture in the Macenta Prefecture in the Nzérékoré Region of south-eastern Guinea. Located at 8.65, -9.6 (Lat. / Lng. ), about 11 miles away. Daro, Guinea is a town and sub-prefecture in the Macenta Prefecture in the Nzérékoré Region of south-eastern Guinea. Located at 8.51667, -9.56667 (Lat. / Lng. ), about 7 miles away. Ourémai is a town and sub-prefecture in the Macenta Prefecture in the Nzérékoré Region of south-eastern Guinea. Located at 8.43333, -9.43333 (Lat. / Lng. ), about 8 miles away. Sengbédou is a town and sub-prefecture in the Macenta Prefecture in the Nzérékoré Region of south-eastern Guinea. Located at 8.56667, -9.31667 (Lat. / Lng. ), about 11 miles away. Sérédou is a town and sub-prefecture in the Macenta Prefecture in the Nzérékoré Region of south-eastern Guinea. Located at 8.38333, -9.3 (Lat. / Lng. ), about 16 miles away. These are some bigger and more relevant cities in the wider vivinity of Macenta.